UTT AMIS history started from the Unit Trust of Tanzania (UTT). UTT was established under the Trustee Incorporation Act, Cap 318 and was vested with the several key activities including the development of collective investment schemes; acquiring and keeping in trust the shares of privatized enterprises and encouraging savings culture through wide participation in the ownership of distributed shares / units. UTT wa very successful in launching unit trust schemes since five collective investment schemes were launched attracting over 90,000 investors from all over the country . Over time UTT grew in size with total funds under management of over TZS 120 billion as at 30 June 2013 and futherdiversified into other activities in Projects Management and Microfinance businesses. Based on advice of stakeholders and the Treasury Registrar and approval of the Minister of Finance, the Unit Trust of Tanzania (UTT) was restructured into three organizations. The objective of the restructuring was to enable each of the key businesses to focus on their activities and services so as to contribute more to increasing of government revenue and promote development of the country. The three organizations that resulted from the restructuring exercise, registered under the companies Act, 2002, include UTT Asset Management and Investor Services (UTT AMIS), UTT Microfinance (UTT MFI) and UTT Projects and Infrastructure Development (UTT PID). UTT PID and UTT MFI became operational on 1st July 2013 while UTT AMIS was re-assigned with the management of collective investment schemes from 1st October 2013. UTT AMIS having the track record from UTT has been awarded the Best Fund Team in Tanzania for Year 2015 by the Capital Finance International of UK. 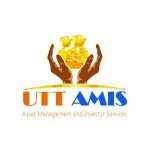 UTT AMIS is a collective investment scheme established to develop collective investment schemes in Tanzania; acquiring and keeping in-trust the shares of privatized enterprises and encouraging savings culture through wide participation in the ownership of distributed shares / units.